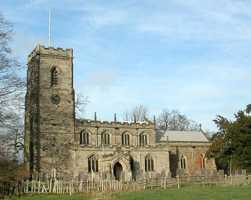 Stanford upon Soar parish is the furthest south in Nottinghamshire, and so the most southerly parish in the whole of the northern province of York. The church is near the River Soar. Years ago, the river was forded - hence the name “Stanford”, being derived from “Stean-Ford”, ie stone-ford. Part of the ancient ford could be seen as recently as the 1960s, not far from the church. Later there was a toll bridge across the river and until 1934 the old toll house stood as a reminder of those days and foundations of this house still remain at the back of the church. The church was at one time dedicated to John the Baptist and St Luke, but in 1922 St Luke was dropped from its title. The church is not mentioned in the Domesday Book. From the beginning of Queen Elizabeth I’s reign until 1967, the owner of Stanford Hall was the patron of Stanford Church. Stanford on Soar has always been a small village. 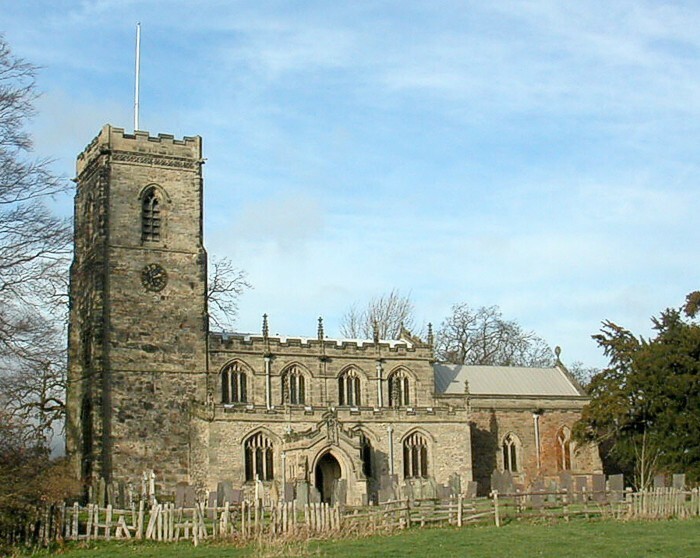 The following church return on the village was made to Archbishop Herring in 1743: “In this parish there are only eleven families”. The village had to await the arrival of the Ratcliff family before any serious restoration of the church was undertaken. The major restoration of the church occurred in 1893-4 and was due to the great generosity of Mr Richard Ratcliff, then owner of Stanford Hall and its patron. The alterations were extensive. The story goes that Richard Ratcliffe had five daughters and one of them died before she married so her father spent her dowry on the chancel. The architect was W S Weatherley. At the end of the 20th century there were great changes in the village. The village was effectively moved from the field near the river and was almost rebuilt. Many of the houses were built by Richard Ratcliff whose initials are on some of the houses and on the attractive village pump. He also built a new school on the outskirts of the village to replace the small one. With the coming of the Great Central Railway (now mainly disused) the course of the River Soar was diverted and there is now a high embankment between the river and the village.